The project model for Inga 3 does not prioritize access to electricity for the poor, especially considering that the bulk of the power has already been committed for export. Social and environmental impacts of the dam have not been given due attention. Citizens of the Democratic Republic of Congo may wake up one morning in the future to find that, while $12 billion was spent to construct the largest hydropower project, Inga 3, they still live in darkness while power lines bypass them- sending power to far off urban cities in South Africa and mining industries in Katanga. 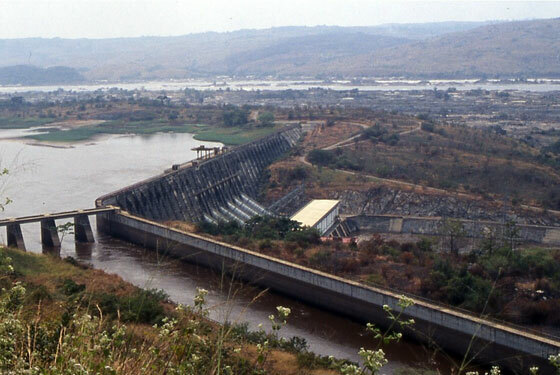 Or find that they have drained the Inga Falls, destroyed the gigantic carbon sink of the ‘Congo Plume’, the estuary, the protected mangrove forests and lost aquatic biodiversity, but have nothing to show for it, just the giant infrastructure that is the Grand Inga Dams – developed for others to benefit. This gloomy picture would pass for a bad dream, except it is a very likely reality, given the recent chain of events surrounding the development of the Inga 3 Hydropower project. Since 19 May 2013 when DRC announced its deal with South Africa for the latter to be the principal purchaser of the Inga 3 power (taking 2500 MW of the 4800MW), the rush to get the project started has never been greater. Shortcuts have been taken to speed up the process and to meet the ground-breaking target scheduled for October 2015. The feasibility study that was supposed to be published and presented to the public in Kinshasa in June 2013 was only presented in September, and to date the full document remains confidential. In July 2013 the terms of reference for the Social and Environmental Impact Assessment studies for Inga 3 where presented to the public by Cellule d’Appui Technique a’ l’Energie (CATE) for comment. To our knowledge this and the presentation of the feasibility studies are the only two opportunities that the public have been invited to participate in and to comment and ask questions. The saga does not end there. 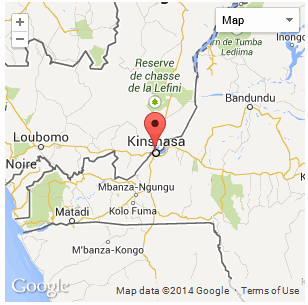 In November 2013 the African Development Bank (AfDB) approved $68 million in support for Inga 3. In December 2013 the USAID also expressed interest in providing support for Inga 3, justifying this as a response to the Electrify Africa Act. The Act encourages the USAID to prioritize ‘the deployment of technology and grants to expand electricity access for the poorest segments of the population.’ However, the project model for Inga 3 in no way prioritizes access to electricity for the poor, especially considering that the bulk of the power has already been committed for export. On 11 February 2014 the World Bank Board of Executive Directors was supposed to sit to consider an application for a technical assistance grant of $73.1 million to carry out technical, social and environmental studies for Inga 3 and a communication strategy for the project. Instead the meeting was postponed indefinitely and it is rumored that the project will be considered under the IFC – a private arm of the World Bank. If this is true it spells disaster for the project especially on issues of social responsibility. The IFC does not have the expertise or capacity to deal with such complex projects. The key concerns with this project remain that the energy poverty of DRC is not addressed and that the social and environmental issues are being minimized. Instead the DRC government and the World Bank have been dodgy with this development. In its documents on the Inga 3 technical assistance, the World Bank gives the impression that the impacts are insignificant and treats the Inga 3 as a separate project from Grand Inga, referring to it as a ‘stand-alone development.’ Yet within the same documents the Inga 3 is acknowledged as the first of the 6 development stages of Grand Inga. The only separation is with the power stations. The reservoir’s area will expand at each stage as more dams are built, for more river flow will be diverted as the stages proceed, thus adding to the overall impact. Only a cumulative impact assessment would be able to address the impacts that will build up as each stage is added. Once Inga 3 has been constructed, some irreversible negative social and environmental impacts are set in motion and they sadly escalate as the project is ramped up from Inga 3 to the Grand Inga. Further in the technical assistance documents for the project, the DRC government clearly states: ‘Allocation of most of the power produced by Inga 3 Basse Chute to the public power grid would be the preferred option from a social point of view, since the proportion of our population with access to electricity is three times lower than the Sub-Saharan average. However, such an allocation would result in a low bankability of the Inga 3 Basse Chute for the private sector, given the current very weak financial situation of SNEL.’ This statement clearly shows that there is no intention to address poor access to electricity using the power generated at Inga 3. It would make the project not bankable! The Inga 3 project, as currently constituted, has many serious flaws that need to be addressed, primarily requiring genuine extensive consultations with the Congolese. It is regrettable that to date, there has been little effort on the part of the DRC government to constructively engage its citizens’ involvement. So far, the only positive development has been the decision made on January 2014 by the United States of America Congress, instructing the USA government to oppose funding for large dams, and to oppose the same in US funded international financial institutions. We were further pleased to note that this decision was predicated on a desire for justice for the victims of human rights abuse on these projects (www.commondreams.org/view/2014/01/17-6). It is not clear yet whether the USA government will comply with this directive. The negative social impacts of numerous large dam projects in the past have been well researched and documented, but there appears to be some unwillingness by both the USA government and the World Bank to learn from these experiences. Instead one sees what appear to be attempts to circumvent their own publicly stated policies and principles. As International Rivers we continue to be concerned about the lack of accountability of international institutions when it comes to infrastructure development and lending to developing countries. We are concerned especially with the developments that continue to harm our vital rivers, our lifelines. The development of Inga 3 project, as the first phase of an even larger, 40 000MW Grand Inga, on the Congo River is a classic case of the failure to protect our rivers and to safeguard the rights of defenseless communities; and it demonstrates so many flaws in decision making at all stages of the project development cycle. * Rudo Sanyanga is Africa Program Director, International Rivers, Pretoria office, South Africa. Thanks for this very clear information of the plans for the Inga 3 project. I want to say that my Mini Hydro electric project does not damage the enviroment and is really serving those most in need of electricity in order to study and learn how to take charge of their own development.